This website is a new version of Aspirator (Journal of Vector-borne Diseases Studies) e-ISSN : 2338-7343 . Click http://ejournal.litbang.depkes.go.id/index.php/aspirator to visit the old version of Aspirator. 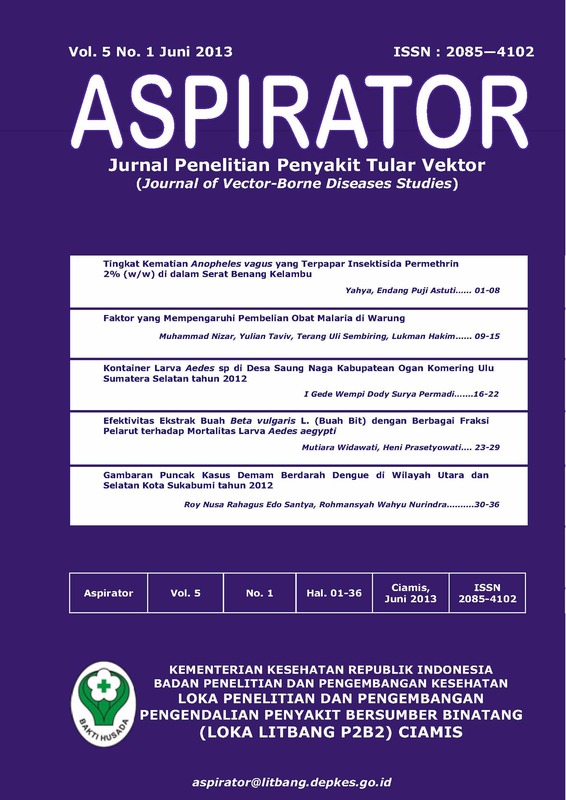 Aspirator Journal (Journal of Vector-borne Diseases Studies) is one of the journals published by Badan Penelitian dan Pengembangan Kesehatan (National Institute of Health Research and Development), Ministry of Health of the Republic of Indonesia. Aspirator is published since 2009 and has been focused in disseminating research results, objectives, analysis and review related to vector borne disease. Aspirator will be published two times a year (June and December). During 2017, Aspirator has published 12 research. Aspirator journal has been acredited by Lembaga Ilmu Pengetahuan Indonesia (Indonesian Institute of Science) by Decree No. 782/AU1/P2MI-LIPI/11/2017. 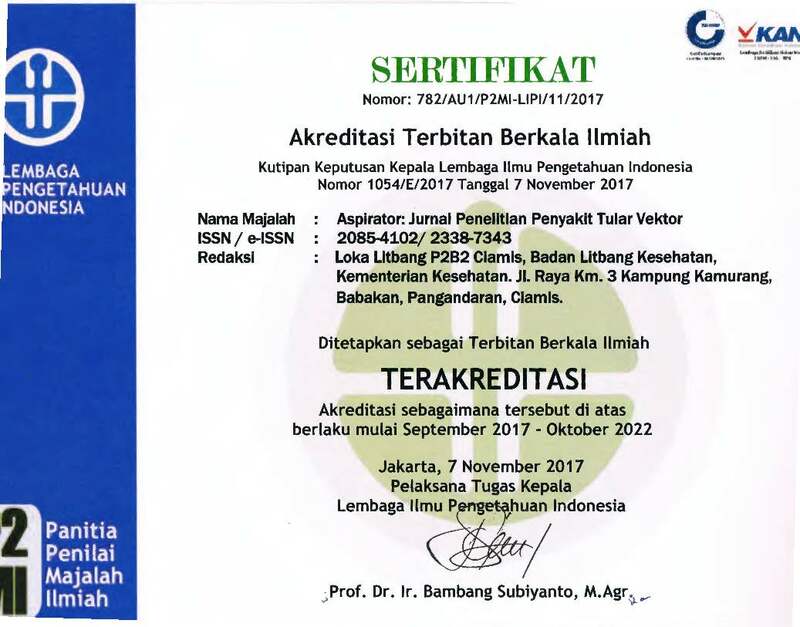 Ristekdikti Accreditation :21/E/KPT/2018 , 9 July 2018 Terakreditasi Peringkat 2. Available in Sinta. Valid unting Volume 12 Number 2 2020.